Enhance ICU clinicians’ understanding of the physiological principles informing assessment and management of mechanical ventilation and strengthen their skills in assessing patient-ventilator interaction. Increase awareness of the many relevant aspects of conventional and novel invasive and non-invasive mechanical ventilation techniques. Enhance ICU clinicians’ knowledge of the management of specific clinical problems in mechanically ventilated patients: acute respiratory distress syndrome, chronic obstructive pulmonary disease exacerbations, and difficult weaning from mechanical ventilation. 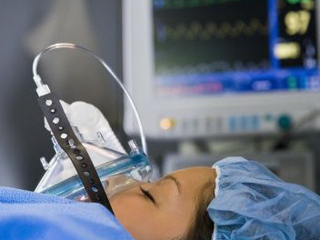 Explain and assess basic physiological aspects of patient-ventilator interaction: respiratory mechanics, respiratory muscle activity and function, patient-ventilator synchrony, and ventilator-induced lung and respiratory muscle injury. Determine why and when mechanical ventilation can be a treatment, a supportive therapy or a source of complications. Describe the optimal approach to liberating patients from mechanical ventilation and conduct a comprehensive clinical assessment to identify and treat causes of difficult ventilator weaning. Deliver evidence-based management of acute respiratory failure using both non-invasive and invasive ventilatory techniques for the following conditions: acute respiratory distress syndrome, chronic obstructive pulmonary disease, and weaning from mechanical ventilation.